What is the 22nd Wedding Anniversary name & symbol? Your 22nd wedding anniversary year of marriage may not seem particularly special, but every year of a successful marriage deserves to be recognized. Celebrate your 22nd anniversary with the beauty and durability of copper – prosperity, perfection and good fortune. What is the 22nd Wedding Anniversary Gift? 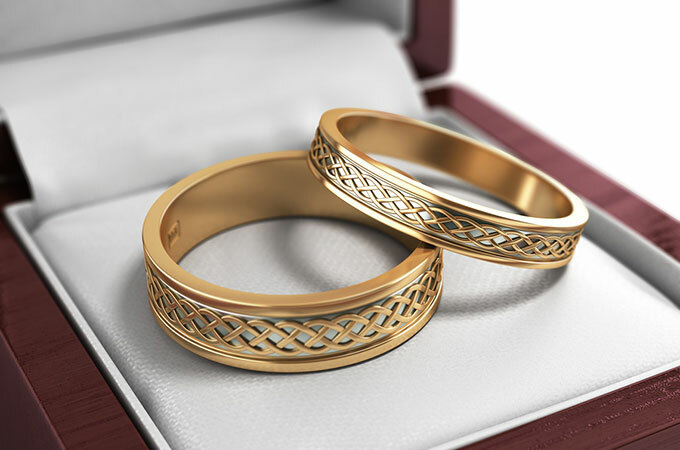 This versatile metal makes a fitting traditional and modern theme for the 22nd wedding anniversary, as it can be used in everything from coins, to jewellery, to cookware and home goods. How you celebrate depends on your personalities, the amount of time you have and your budget. Book a trip to somewhere you both want to go. If you want to incorporate the traditional copper material, you could visit a country known for its high copper production, such as Chile, which has the largest copper reserves in the world. For 22 years, your relationship has made it through a lot, making it just as versatile. Celebrate this with gifts you can enjoy together, like kitchen goods for cooking an anniversary dinner or decor for your home. There are no symbolic anniversary flowers for this anniversary, but you can choose a lovely mixed floral bouquet. For a colour themed party the traditional colour is green. Green is the colour of nature. It symbolizes growth, harmony, freshness, and fertility. Green has strong emotional correspondence with safety. Dark green is also commonly associated with money. There is a traditional gemstone which is Spinel, Red spinel is thought to enhance vitality. Both green and pink spinel are said to encourage love and compassion. Violet spinel is associated with spiritual development and yellow is linked to the intellect. This gemstone would make a perfect and traditional 22nd wedding anniversary gift. What can I buy my husband for our 22nd wedding anniversary? What should I buy my wife on our 22nd wedding anniversary? Copper and Verdigris Bottle Vase. Copper Photo Frame with Personalised Stand. Location visit (copper was mined in the UK & Ireland). Pleasure Flight (hot air balloon, helicopter). Food & Drink (beer or wine tasting with meal). Monster Truck & Tank Driving. Copper instruments. (make a great conversation piece, maybe learn one). Surprise week away (for 2 or take the family). Whether you exchange traditional gifts or plan a weekend getaway, keep the focus on your love and spending time together. Thanks very much for the list of gifts for the years in between the traditional ones!